Take advantage of Happy Hour Monday through Friday from 4pm-8pm and Late Night Happy Hour Sunday through Wednesday Night, starting at 10pm! On Monday's, take care of the blues with our $5 #AmSo Burger and challenge your mind with Trivia Night, indulge in $10 pizzas and take advantage of $10 select bottles of wine on Wednesday's, and get your Cocktail Therapy on Thursday's with $3 Mi Campos Margaritas and Ketel Once Botanicals Cocktails!. Thirsty for more? We have the best Bottomless Mimosa and Bloody Mary prix fixe brunch on the strip. When it comes to bars in Fort Lauderdale, we’re the place to be. American Social Bar & Kitchen is proud to be the locals’ favorite sports bar on Las Olas Boulevard, in the very heart of downtown Fort Lauderdale. With a vibrant history that includes American icons such as Lee Majors, Lucille Ball, and Sonny and Cher, Las Olas is one of the original thoroughfares of South Florida. It has come a long way since its origins as a dirt road in 1917, and is now a bustling area that is the perfect place to spend a beautiful Florida day or night. We’re proud for our restaurant to be a vital part of this Las Olas Blvd nightlife. You can start your morning in Las Olas by doing some shopping; with places like Maus & Hoffman, Moda Mario and Havana Republic Cigar Depot you’re sure to find something you’ll love. Grab yourself a sweet, mid-morning treat at Hoffman’s Chocolates and browse one of the several local galleries that play host to fascinating collections of international art. After that, explore the neighborhood on one of Cycle Party’s 15-seat bikes or take a river cruise on the Fort Lauderdale Water Taxi. By then, you will have worked up a good appetite, and you can head on over to the greatest of all Las Olas restaurants. Plan to stay a while, because American Social is the best place to eat classic American fare, enjoy a wide variety of beers and catch all the best games. 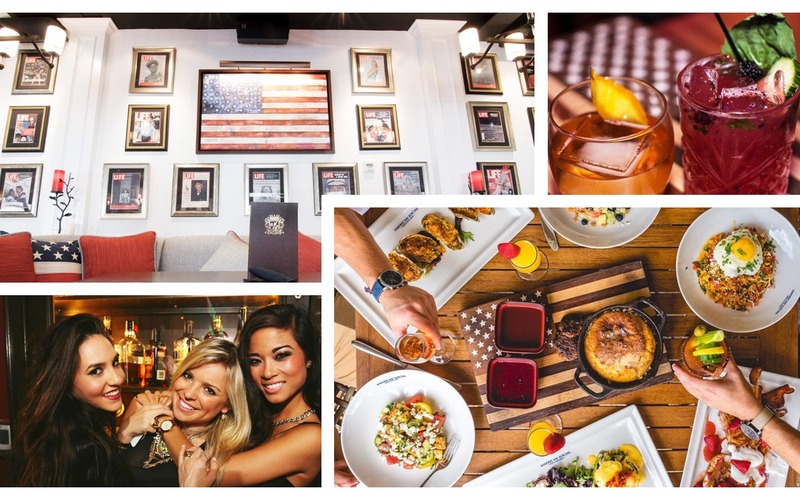 American Social in Las Olas is a restaurant, bar, and ultimate hangout in the heart of Downtown Fort Lauderdale. Created by two longtime college friends, AMSO is a place where traditions live on and simple pleasures are enjoyed! When it comes to bars on Fort Lauderdale’s Las Olas Boulevard, we are a restaurant that stands above the rest with an unmatched level of atmosphere and service. 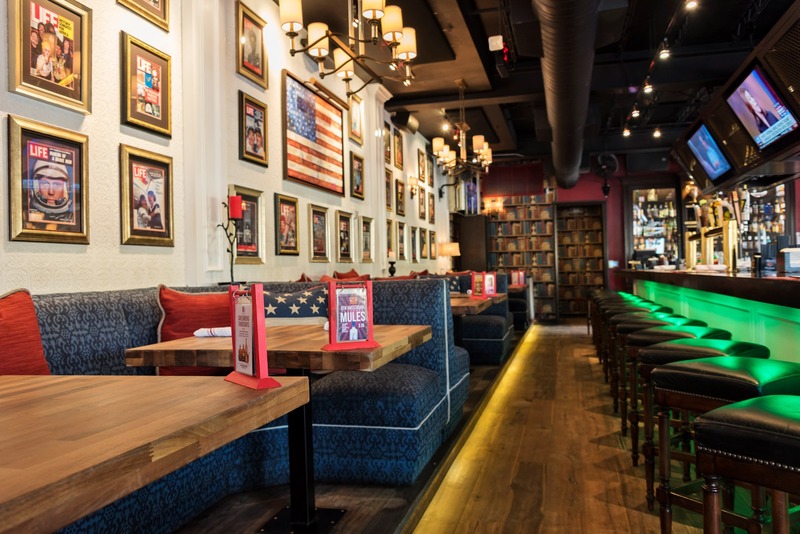 Offering All-American comfort food and the best selection of craft beers in all of Fort Lauderdale, it’s only natural for you to make AMSO your new social spot and sports bar! American Social Bar & Grill puts a spin on the classics by serving up All-American comfort foods with a new flavor. Whether it’s our delicious signature burgers, fresh organic salads, or shared plates, there’s something to satisfy anyone’s cravings. With over 40 craft beers on draft, handcrafted cocktails and an extensive wine menu, our Las Olas Blvd restaurant and bar has the drinks to make sure your meal will never feel lonely.